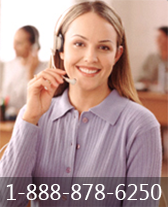 Our business cash advance is based on future sales. We facilitate success by providing cash in advance, quickly, without the formalities and strict requirements of a business loan offered by banks and other financing companies. Business loans require security (collateral), good credit and a long business history. New businesses and small businesses with bad credit may still qualify for an unsecured business cash advance loan. Unlike traditional small business loan financing, with our business cash advance you are not fixed to a repayment schedule. If you have a slow period we take a smaller payment; working with the flow of your business. Additionally, unlike small business loans, our unsecured business loan alternative does not require collateral or a personal guarantee. We also do not require financials or tax returns. Our quick online application is simple and takes only a few minutes. Business loans require extensive paperwork and a lot of time. 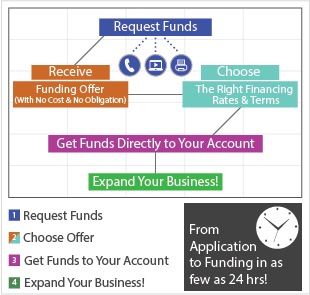 We can approve your business for an unsecured cash advance in less than 24 hours and have a working capital loan of up to $250,000 transferred to you in less than 1 week!